You are here: Home / Newsletters / Roelof Mostert takes the win! Roelof Mostert takes the win! 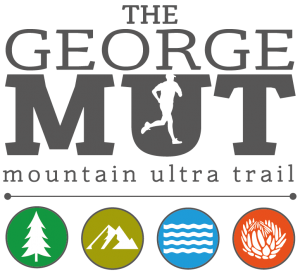 The inaugural George Mountain Ultra Trail took place on 16 June 2018, offering 3 distances of pure trail bliss! Roelof Mostert took the crown for the fastest man on the MUT 60km in a time of 06:21:10, much faster than anticipated! With all really well organised events, especially those of the endurance running variety, you can always expect a certain level of passion, and with that, an immense level of creativity and fore thought when it comes to the actual route. The George Mountain Ultra Trail is no exception. Participants can buckle in for a brutal yet breath taking look into what makes the Outeniqua mountains so spellbinding and iconic. Running here will test any novice, even seasoned trail runner to their limit whilst instilling a deep sense of humility and freedom . From the start in the beautiful towering pine forests of the Witfontein reserve to the fiery sunrise that awaits at the crest of the Cradock pass, the feeling of genuine big mountain running will start to take hold and either inspire or poke at the nerves as the clean, cool morning air escorts you down towards Camferskloof and the sleepy-town of Herold. From there the easy and gradual incline of a wide and flat jeep track allows for some respite before being ushered on to yet another single track at the North station and looking up from the path the task at hand towers into view, sobering and almost unreal as you are stared down by the entire might of Cradock and George peak, luckily you are aiming for Tierkop to the left however, the only way to salvation is up the infamous Dizzy heights, the trail at times scraping your chest as you power hike into the heavens, the gradient is impressive and so are the views as you eventually start the technical rollercoaster ride from the summit of Tierkop backdown towards George. A super fun but technical single track bombs down towards TheWall and Tonnelbos, green and slippery you’l have to manage the slanted camber of the trail with almost surgical precision with roots, rocks and deep black mud the all star cast, the curtain call looms as the Tower comes into view, reunited with those towering pines the single track pops out onto the lasts stretch which hugs the plantation al the way home to one of the most beautiful finish lines you will ever cross. https://i0.wp.com/georgetrailrun.co.za/wp-content/uploads/2018/06/JMMpentax-0095-20180616.jpg?fit=2200%2C1468&ssl=1 1468 2200 Zane Schmahl https://www.georgetrailrun.co.za/wp-content/uploads/2014/09/mut2-300x272.png Zane Schmahl2018-06-21 09:58:022018-06-21 14:38:24Roelof Mostert takes the win!